Claire Scobie is an English-born journalist and author of Last Seen in Lhasa, winner of the Dolman Best Travel Book Award. She writes for The Daily Telegraph and The Observer, and is a contributor to The Sydney Morning Herald, The Sun-Herlad and Marie Claire. Claire lives in Sydney, teaches travel writing workshops and is a member of the British Guild of Travel Writers. Currently working on two new books, a novel and a second travel memoir, she is completing a doctorate degree in creative arts. Some go to Tibet seeking inspiration, others for adventure. The award-winning journalist, Claire Scobie, found both when she went to the Himalayas in search of a rare red lily. Her journey took her to Pemako, where few Westerners have set foot and where the myth of Shangri-la was born. It was here she became friends with Ani, an unusual Tibetan nun who was to change her life. 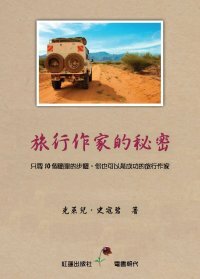 First published by Rider (Random House), Last Seen in Lhasa has been translated into German, Dutch and Korean. In 2007, it won the Dolman Best Travel Book Award in Britain. Mary Ann Evans, then chair of the British Guild of Travel Writers and one of the judges, described it as "a true award-winning travel book".